If you want your Facebook fan page to be effective and stand out, you have to get people to find and like your page. Here are a few ways to do that (inspired by a recent post by Justin Wise on Social Media Examiner). A prominent Facebook page can be crucial to your book marketing and book promotion campaigns. Here are 31 ways to promote your Facebook pages. 1 – Put your Facebook page URL in your email signature. Now this is pretty obvious. You already put your website or blog in your email signature. Now add your Twitter profile and Facebook page (one or all of them, if you have more than one Facebook page). 2 – Write a blog post about your new Facebook page. Give people reasons to like your Facebook page. Make a list of 5 to 7 reasons on how they will benefit by liking your page. 3 – Tag other people’s high-traffic Facebook pages in your updates. Hitch your wagon to a star. Refer to, tag, and link to other Facebook pages, especially those with tons of fans or those targeted to your interests or Facebook page focus. Their fans will often come back to check out your page. 4 – Ask your Twitter followers to like your Facebook page. 5 – Invest in Facebook ads. A great Facebook ad can get you tons of likes. Then you just have to retain those likes by giving them great content and interaction. Facebook ads are easy to set up – and you can control the cost. So you can test ads until you find one that produces the results you want. 6 – Put a Facebook social plugin on your blog or website. 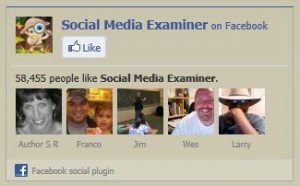 A Facebook social plugin is a great way to introduce your website visitors to your Facebook page. When your website visitors see the activity on your Facebook page, they’re far more likely to want to join in. 7 – Implement Facebook comments on your website or blog. Here, for example, are a few comments showcased directly on the home page of my BookMarket.com website. Note how both other book authors and I as well can write comments on my home page. You can implement Facebook comments on as many of your website pages as you like. For blogs, you can implement them on all your posts and pages. Facebook comments make your static web pages far more social. That’s a good thing. 8 – Customize your Facebook page URL. Today I was surprised to find a Facebook page with more than 45,000 fans – and yet no vanity URL. Vanity URLs make your Facebook page much easier to remember – both for you and your potential fans. You can set up a vanity username by going to http://www.facebook.com/username (after you get 25 likes for your Facebook page). My book author page: http://www.facebook.com/thejohnkremer. 9 – Put your Facebook page URL on your business cards. Don’t just promote your Facebook page online. Also share it offline – on your business cards, posters, letterhead, envelopes, etc. 10 – Put a link on your personal Facebook profile. You could also feature a link in the About You section of the Basic Information of your personal profile. Finally, you can also feature your pages on the sidebar of your personal profile. This is actually the best place because it shows up directly on your personal profile page even if visitors don’t check out your Info page. 11 – Get your team involved. Encourage everyone you work with, people you partner with, and other associates to put Facebook page link on their personal profile. While your friends or associates might not be willing to do this, your employees should definitely be encourage to do this – if only to showcase where they work. 12 – Ask your fans to post a link. People like to be asked. And many like to help your out, especially if they really do like you or your work. And, if they are already your fans, it’s a simple step to share their fandom. At Monk Development, they asked their fans to post a link to their company Facebook page on the same day. As a result of this one simple step, they doubled their average daily likes. 13 – Tag your YouTube videos. If you produce YouTube videos, insert a Facebook page link at the end of the video – along with your website URL. The Gregory Brothers of Auto-Tune the News, with over 1 million YouTube subscribers, feature their Facebook page URL at the end of many of their popular videos. Note that the above video has had over 10 million views in one year. 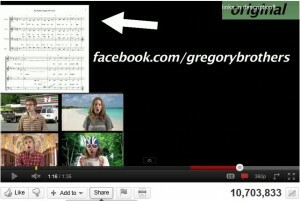 Besides including their Facebook page URL inside their videos, the Gregory Brothers also feature the URL in the descriptions to their videos. Interestingly, they haven’t updated their vanity URL on their YouTube channel. They have the original URL before they vanitized it. Anyway, make sure you include your Facebook page URL on your channel page as well. 14 – Put your Facebook page URL on your Twitter profile background. While your Twitter profile background only shows up when web-based Tweeters access your Twitter profile, it’s still a great place to promote your Facebook page. Of course, your can also put your Facebook page link directly into your profile description. That way people can find you even if they access Twitter via their smart phone or Twitter app. 15 – Create a QR code for your Facebook page. 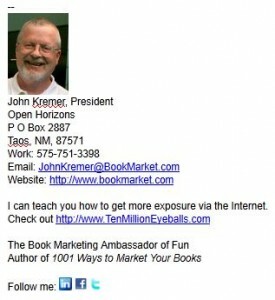 For more about QR codes, see http://bookmarketingbestsellers.com/qr-code-featured-in-a-book-tour and related pages on this website (check the online tab above). 16 – Tell your fans. 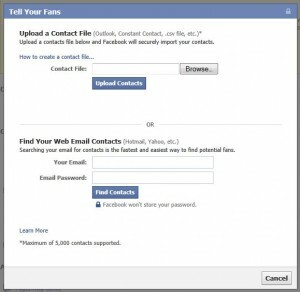 Facebook provides a Tell Your Fans feature that allows you to import a contact file or to import your contacts from Yahoo, Hotmail, etc. It’s a great way to get the word out to your current tribe. 17 – Add a Facebook Like box. Place this in your blog/website sidebar. This is a given. A must. But when you do this, make sure you set the options to include face pile. That way, your Like box will show your readers how many of their friends like the page as well. 18 – Use targeted keywords in a Google AdWords ad. Google AdWords can be expensive, but it’s completely testable. You can test costs. You can control your budget. You can test the wording of the ad – what keywords generate more likes. You can test the effectiveness of the ad. You can also use Bing ads, StumbleUpon ads, Blogads, and more to promote your Facebook page as well. 19 – Redirect webinar guests to your Facebook page. If you produce and promote webinars, you can send registrants to any URL you want after they sign up. One place you could send them is to your Facebook page. You can do the same with videos, podcasts, ezine signups, teleseminars, etc. 20 – Feature your Facebook page in your presentation slides. When you speak and do other presentations, be sure to include your contact information in the last slide: phone, email, address, website, Facebook page, Twitter profile, Pinterest page. In fact, you can include your website or Facebook page URL as a running footer on all your slides. 21 – Run a contest. Run a contest on Facebook, your website, your blog, or your Twitter profile where the person who sends the most fans to your page wins a big prize. 22. Connect your Facebook page to your Twitter profile. If you do that, your Facebook status updates will be tweeted. This update can have a link back to your Facebook page. Involver.com has a free and easy app for linking Facebook pages to Twitter. 23. Encourage your contacts to ask questions on your Facebook wall. Via your website, blog, ezine, tweets, etc., you can invite your tribe to ask you questions via your Facebook wall. Sooner or later, as they ask questions, they will like your page. 24. Put your Facebook page URL on other social media pages. You can add your Facebook page URL to your Google+ profile, LinkedIn profile, Pinterest page, etc. 25. Feature your Facebook page in offline ads. If your Facebook page is important in your marketing strategy, then place the Facebook page URL on sales posters, in brochures, in your print ads, on your sales letters, on your menus, on receipts, in your white papers, etc. 26. Rely on word of mouth and word of mouse. One of the best ways to build your Facebook likes is simply to deliver great content consistently. Your fans will send you more fans. Friends telling friends is always the best way to build a list (email subscribers, Twitter followers, blog subscribers, Facebook likes). 27. Invite your ezine subscribers. If you have opt-in email lists or an email newsletter, make sure to invite your readers and subscribers to Like your page. Give them reasons to visit and participate. 28. 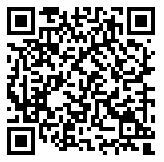 Get Fans to join via mobile SMS. People can join your Fan Page via text message simply by sending a text message to 32664 (Fbook) with the words: fan thejohnkremer (your username) or like thejohnkremer. Note: The mobile phone user must have connected his mobile phone to Facebook previously in order for this to work. This feature is incredibly useful when you are speaking or appearing on radio or TV. Just ask listeners to pull out their cellphone now and text the message. 29. Comment on other people’s Facebook posts. You can comment on other Facebook fan page posts – or the posts of your friends. This can be just as useful as blog commenting. 30. Do a blog tour promoting your Facebook page. An event blog tour can promote a Facebook page, although a major blog tour should probably be used to develop a list or sell something rather than just drive people to your Facebook page. 31 – Invite your friends. Justin featured this as a last resort. As he noted, Pester your friends only as the nuclear option. Give your friends a break. Of course, you can use many of these ways to promote your Twitter profiles, LinkedIn pages, Pinterest boards, and other social network profiles as well. In addition, many of these ways will work incredibly well in promoting your blogs and websites. If you’ve used other ways to promote your Facebook pages, I’d love to hear about them. Please share your ideas in the comments section below. 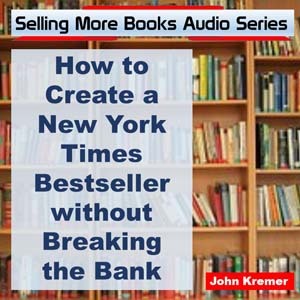 John Kremer is the author of 1001 Ways to Market Your Books. 101 Ways to Blog as a Book Author. You can read it here: http://blog.bookmarket.com/2011/06/101-ways-to-blog-as-book-author-plus.html. 36 Ways to Help a Book Author You Love. 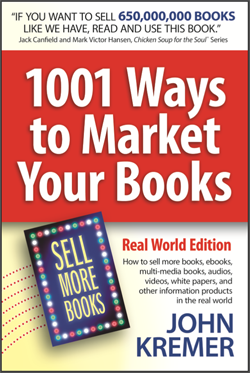 You can read it here: http://bookmarketingbestsellers.com/36-ways-to-help-a-book-author-you-love. 12 Best Ways to Get Facebook Fans. 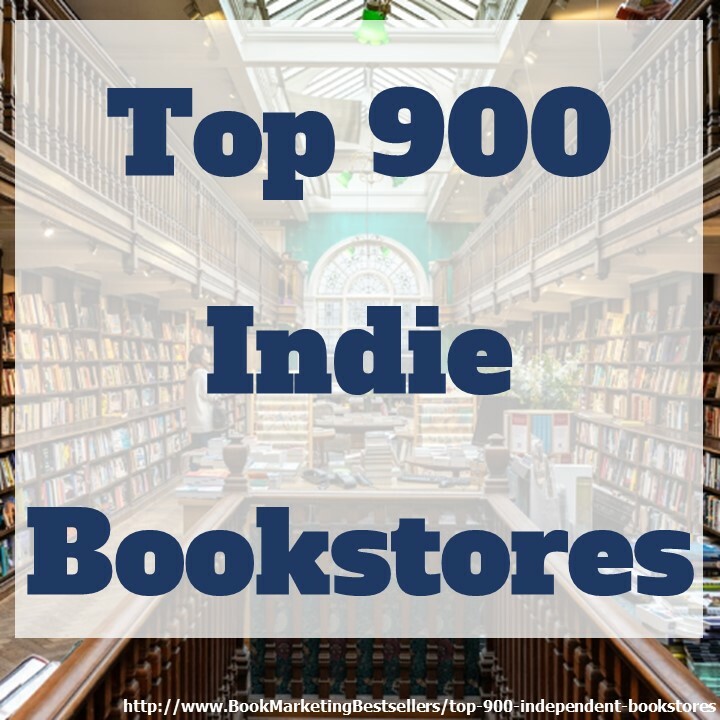 You can read it here: http://bookmarketingbestsellers.com/12-best-ways-to-get-facebook-fans. How to Use Facebook Questions to Increase Social Comments. 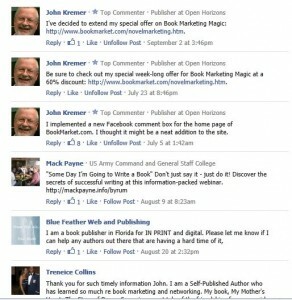 You can read it here: http://bookmarketingbestsellers.com/how-to-use-facebook-questions-to-increase-social-comments. Relationships Matter Marketing Program. You can read it here: http://bookmarketingbestsellers.com/relationships-matter-marketing-program – How to carry out an on-going relationship building program that gets millions of impressions, builds your brand, and sells thousands of books. I’ve found this really helpful since I’m in great need of getting more traffic to one of my FB pages. Thanks! WOW what a fabulous list John. I have to smile whenever I search google for something and end up on one of your blog posts. You really are “The Man” when it comes to social media and book marketing.